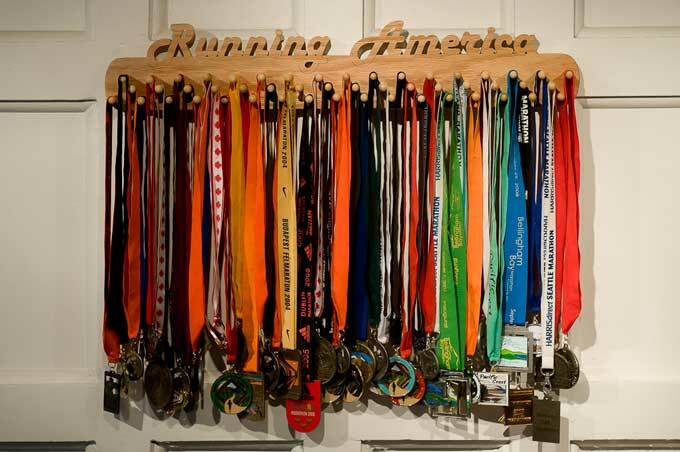 At Marathon Memories N More, we hand-craft wooden medal display hangers for a variety of sports and other accomplishments. Our wooden medal displays come in a variety of styles, finishes and headings, and make a beautiful addition to any room. 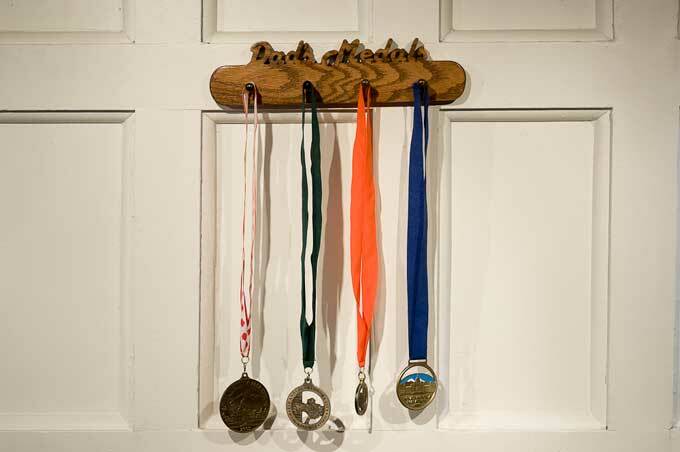 Each medal hanger can be purchased with 4, 10, 21, or 50 pegs arrangement, and is available in your choice of three finishes: oak, golden mahogany, or dark walnut. 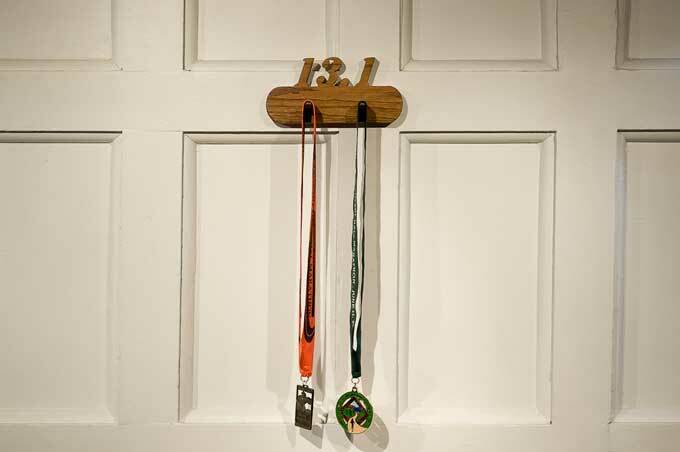 We also provide customized headings for our wooden medal hangers. 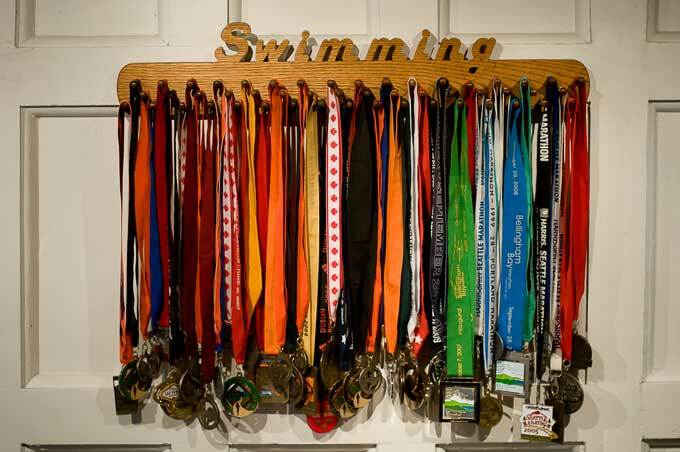 Whether you would like to add your name, unique sport or custom saying, our custom medal hangers make the perfect way to show off your hard-won medals! Display your medals with pride! 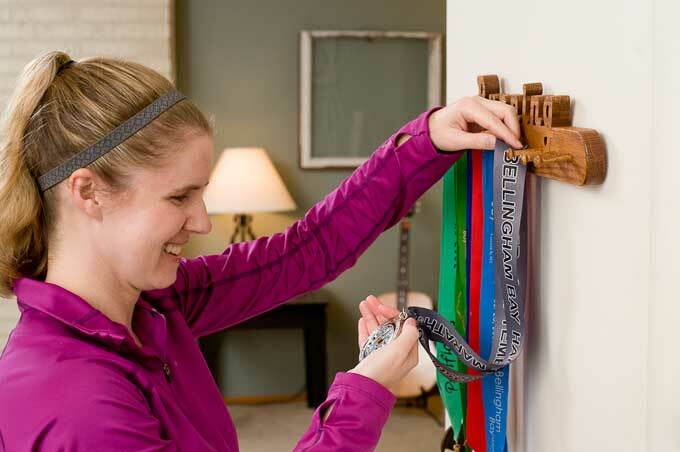 Order a wooden medal display rack today and show off your accomplishments! Have a question? We can be reached during normal business hours 8am to 5pm PST at 1-800-215-8614. For more information about our shipping and return policies, please visit our contact us page. 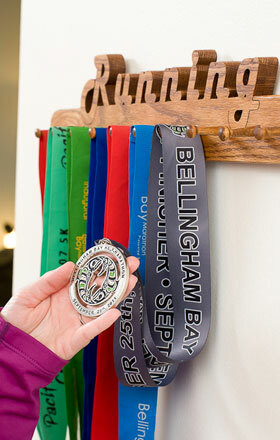 Display your accomplishments in the Marathon, Half Marathon, Running, 13.1, 26.2, Running America, and 13.1 26.2. Show your team’s success at Cycling, Wrestling, Soccer, Gymnastics, Swimming and Running. Share your latest achievement in individual sports such as Cycling, Wrestling, Swimming, and Gymnastics.